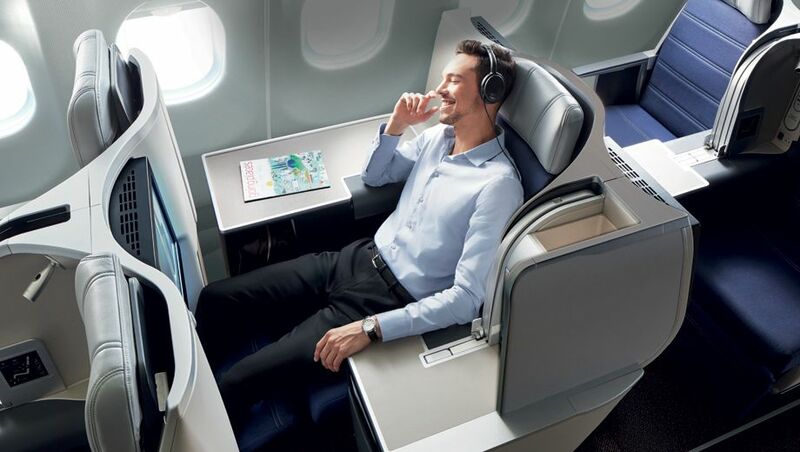 EXCLUSIVE | Qantas Frequent Flyer members will soon be able to use their hard-earned frequent flyer points to book reward flights with Malaysia Airlines, Japan Airlines and China Eastern via the Qantas website. Booking points-based travel on these airlines can currently be made only by phoning the Qantas call centre, which of course takes significantly more time than booking online and makes it hard for travellers to know whether they can use their points on specific dates or flights before dialling in. Some travellers have also reported encountering telephone agents who aren’t familiar with the process of booking reward flights on other Oneworld airlines – requiring them to hang up, call back again and try their luck with a different agent, which adds even more time to the booking process. “We know how important it is for our Qantas Frequent Flyer members to be able to book Classic Flight Rewards with our partner airlines online,” a Qantas spokesperson told Australian Business Traveller. “While they can already do that with the majority of partner airlines, we’re continuing to work with Japan Airlines, China Eastern Airlines and Malaysia Airlines to ensure they have the specialised technical requirements to enable online redemptions,” the spokesperson added. Malaysia Airlines will be the first to come online, with a spokesperson for the airline confirming September 1 2017 as the airline's "go live date" for booking seats using Qantas Points via the Qantas website. Qantas plans to roll-out online reward bookings for Japan Airlines and China Eastern by the first half of 2018, once its IT requirements have been implemented by those carriers. Rather than passengers needing to search for reward flights on one specific date at a time, the calendar view highlights all dates with reward flights available that month on any given route – a feature which Australian Business Traveller understands to be one of the features that JAL, Malaysia Airlines and China Eastern are working to support. 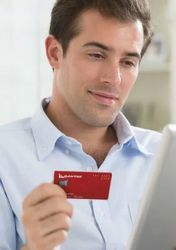 Qantas Frequent Flyer members can currently use their points to book reward flights online with Qantas, Jetstar and most other alliance partners including Emirates, American Airlines, British Airways, Cathay Pacific, Finnair, Qatar Airways and Fiji Airways, among others. Way too late. Should have been done years ago. Other oneworld airlines have had much greater online ability. yes i agree, it's rubbish how a reward shows up with only a tiny part in business and the rest in economy! Or on Jetstar. Nearly as bad. yes!!! omg thats actually worse! .... AND they're charging you pretty much full reward point requirements for this! It is better now than some years ago when QF would offer J* at the same points as QF inventory and then it was not possible to pre-book the limited IFE, so you were sure to miss out. I guess this means the big IT upgrade that MH did on Jun 10/11th was a success. Glad I wasn't flying on those days though. Online check-ins were down, bookings were down and they moved to 6 character booking references (which they didn't send out revised versions of for existing bookings). I only found my new ref# for the return leg of my MH flight (which began before the upgrade) because it automagically showed up in the Qantas app even though I booked direct with MH. There was no sign of the flight in there before the IT upgrade. Excellent news, especially for me with flights on Malaysia Airlines and JAL! Plus more unfairly - and importantly imo - that they charge you the telephone booking fee for going through their service centre, even though you have no alternative. A lot of people have reported success with asking the operator for a fee waiver. They should also fix the problem where the online booking system won't let you book an award originating from certain cities. Anyone even know why they block these cities? Hopefully, when this change is effected, it will also mean that MH bookings (be they cash or award) will show up as forward bookings on ones QFF account. And again hopefully, it will mean then that the MH system "talks" to the QF system a lot better, and will mean that QFF'ers won't have to call up the QF centre each time to get SC's and points for the MH flights credited correctly. They already do, now that MH has moved to Amadeus for their GDS. QF reward site has a long long long long way to go before it can start making claims of customer success. Others have called out the well known flaws - J class for BNE-SYD then Y all the way to London on a J request or push you over to fly on DeathStar. Access to partner options are fairly limited too with their website booking engine only making very basic searches that miss probably 75% of reward seats actually available. 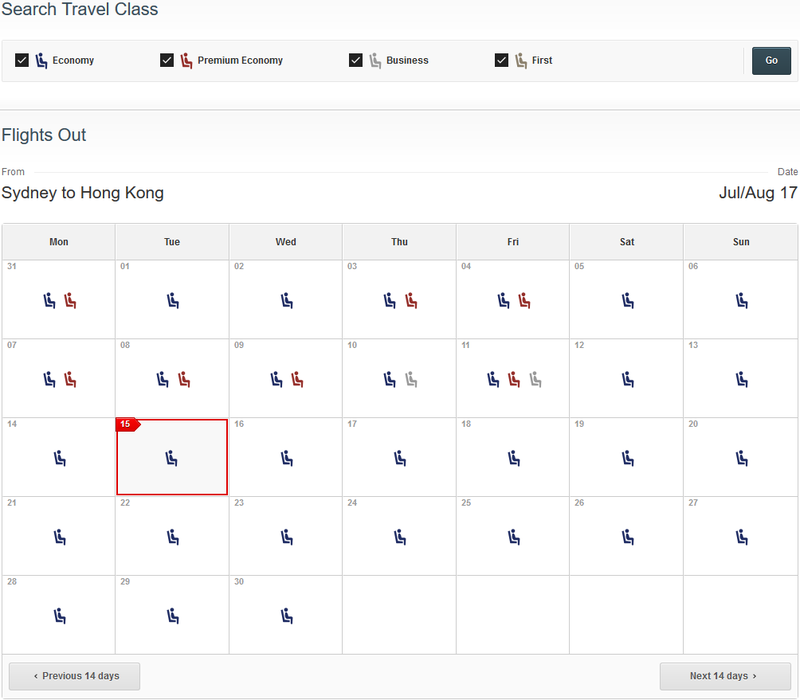 Before Qantas gave the calendar it's most recent makeover, you use to be able to hover the cursor over a date and it would give you the flight duration of the most direct flight that day. Why did they take this feature away? Adding Qatar to the list would help as well. Qatar Airways reward flights have been available for booking via the Qantas website since the day Qatar joined Oneworld, although Qantas can't sell itineraries commencing in Doha due to either government or currency restrictions - so you can book a Sydney-Doha-London reward online or Sydney-Doha-Sydney, for example, provided the first flight in your itinerary doesn't depart from Doha. If you do need to commence your journey in Doha, you can call Qantas and they can do this over the phone - they just price the co-payment in Australian dollars rather than Qatari Riyals. Good news, but I rather curious when they fix their booking system when "Business" fare say MAL-LHR have "i" that says "Your flight from Sydney to London will be in Economy"
Comment on "Qantas plans online reward bookings for Malaysia Airlines, JAL"